One of our favorite 'hoods in this neck o' the woods is that of 9th & 9th. Sure, we have a fairly dedicated love of all the SLC districts, but a few of them reign supreme in our eyes, and this be one of them. The 9th & 9th gang includes out-of-sight businesses like Pago, Zuriick, The Stockist, and plenty of other goodies to patronize on a sunny afternoon [or any damn afternoon, for that matter]. Add to that the myriad of adorable homes, both old and new, and you've landed squarely in the midst of a city-adjacent paradise. And -- as with any good 'hood -- plenty of choice things are happening here. One such event is coming up this very weekend, pals, and it's worth a walk [plus, our temperatures are gonna outta-this-world toasty, as iPhone tells it]. 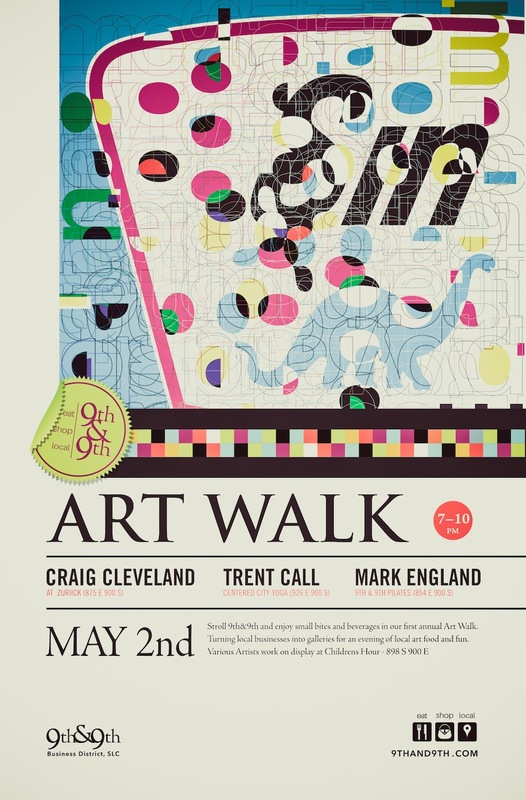 Some of the aforementioned [and stellar] local businesses will become art galleries this Friday evening [May 2nd] for the 9th & 9th Art Walk, and you all should take it upon yourselves to stroll around for small nibbles, drinks, and the sake of checking out some serious artistic feats. The work of Craig Cleveland, Mark England, and Bonnie Sucec/Susan Beck will be dotting the walls of Zuriick, 9th & 9th Pilates, and Children's Hour, respectively. Mmm? What better way to spend a nice, spring evening? On Saturday, the 3rd, make your way back to the same spot...and this time, bring the young'uns. 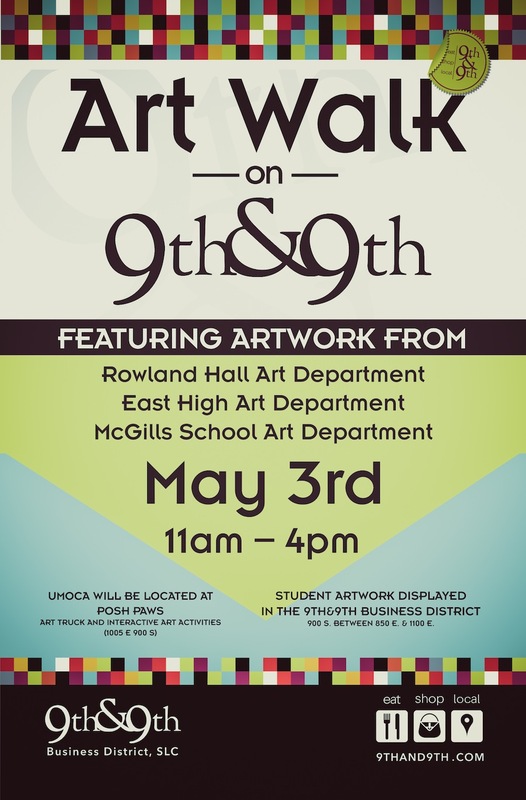 The 9th & 9th Artwalk will continue with the work of the Rowland Hall, East High, and McGills Schools art departments. From 11:00am to 4:00pm, student artwork will dot the district, and it'll be a swell time for the whole fam, no doubt. Bonus: the UMOCA Art Truck will also be around [at Posh Paws, specifically] with some interactive art activities. You're looking for something to do...they're looking to edify you. Get over there, already.